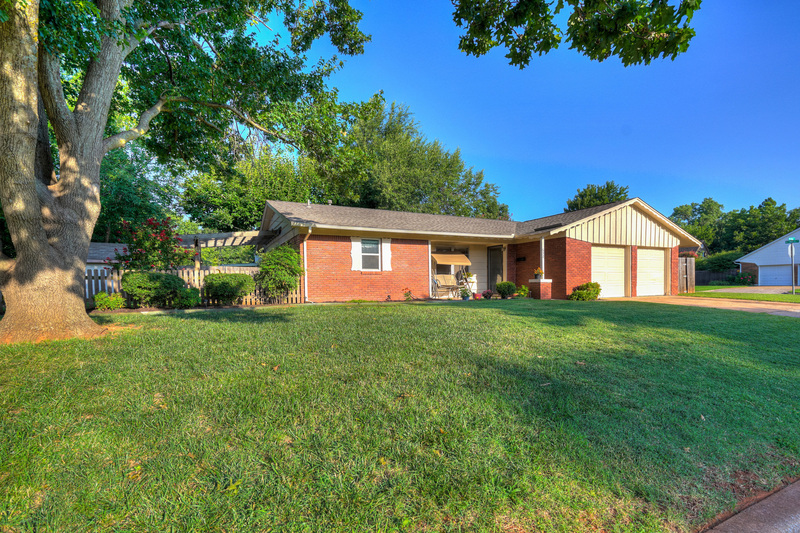 Perfect house on corner lot with large mature oak tree and beautiful landscaping. House exterior is freshly painted. Features- remodeled bathrooms, bedrooms, and large laundry room, with hardwood floors, ceramic tile, new insulation and new windows. Recent upgrades in heating and air and plumbing with an instahot water tank and storm shelter in the garage. Conveniently located by shopping and highways and priced to sell!